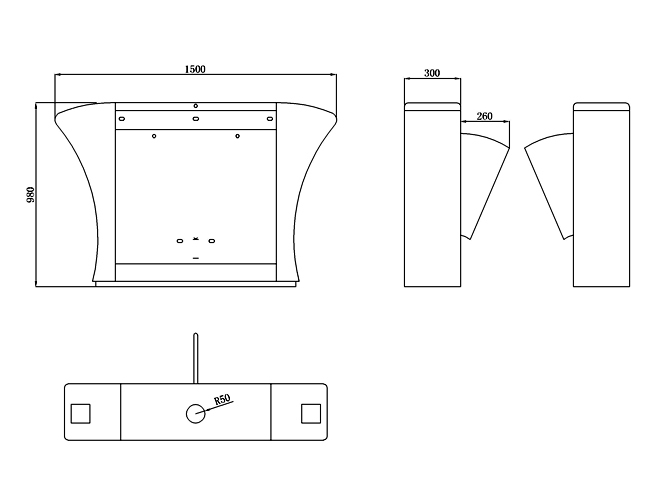 CE Approved retractable Flap Barrier Gate with queue management , graceful arc overall structure, surface car paint process pornographic, double water treatment, bottom is equipped with the baseduring the casing whithin a professional guide tank.Can be installed in indoor, outdoor with shed, applicable to restrict the passing rate of the place, has the count, attendance, current limiting function. 5. 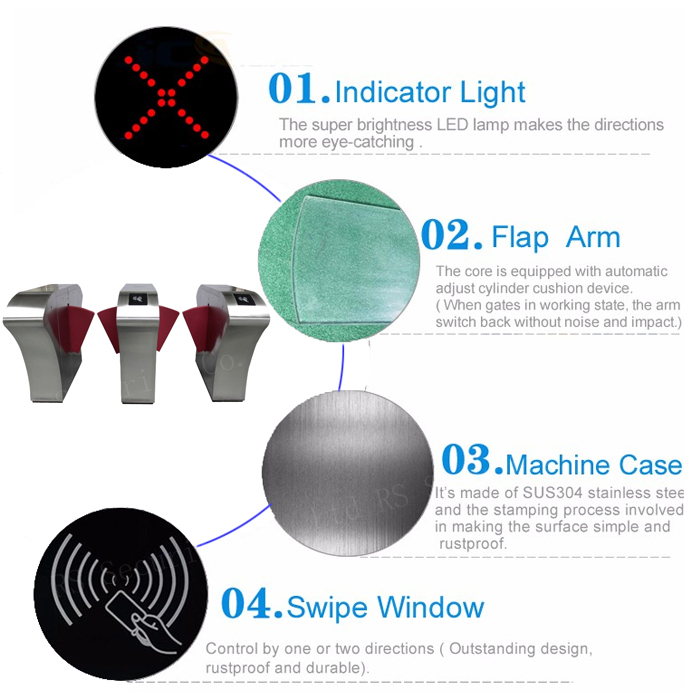 From the control section also take into account the person's treatment to prevent folder, pedestrians stopped after pinch-infrared can swipe through their own gate. 17) Resetting automatically. After reading card, if the passer didn`t pass at set time, the system will cancel pass permission automatically, the administrator can set the passing time by himself. 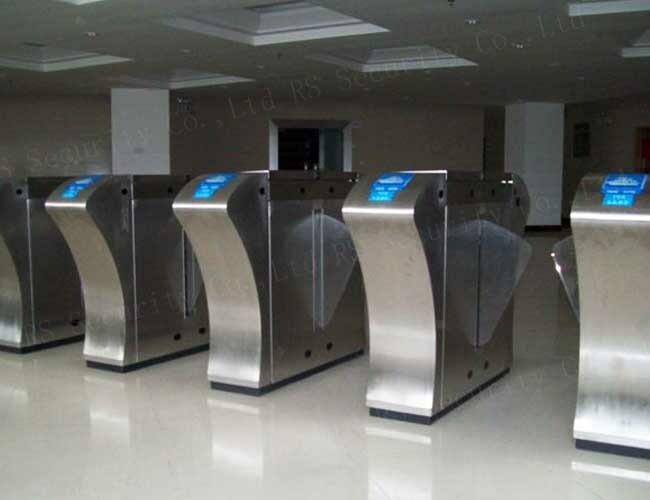 Looking for ideal Mechanical Turnstile System Manufacturer & supplier ? We have a wide selection at great prices to help you get creative. 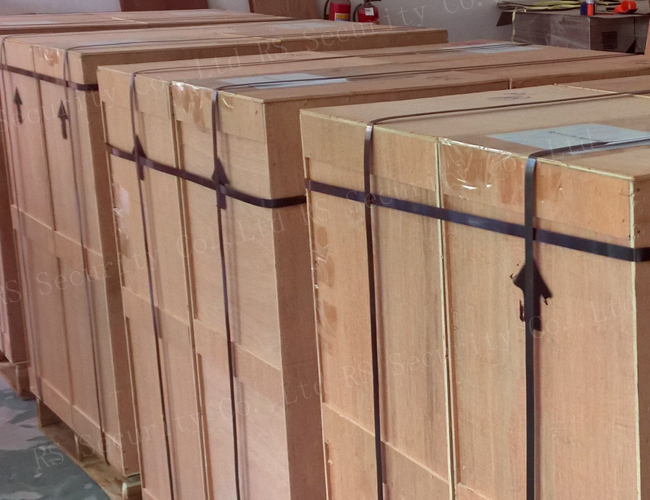 All the Flap Turnstile Gates are quality guaranteed. 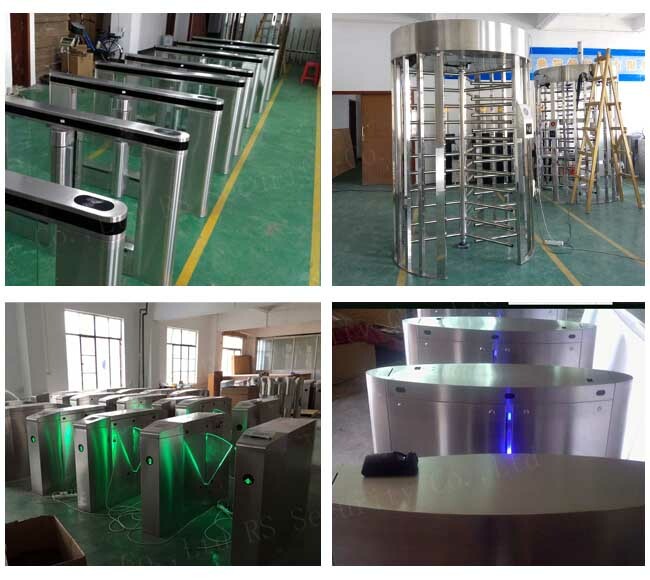 We are China Origin Factory of Metal Flap Turnstile. If you have any question, please feel free to contact us.